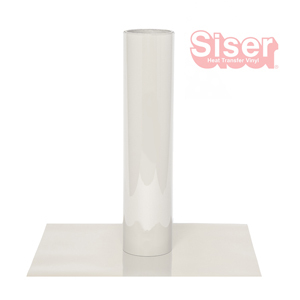 Navigate: Heat Transfer / HTV by Brand/Mfg / Siser HTV's / Siser Easyweed Adhesive; Adhesive Only! Easyweed Adhesive Heat Transfer, this is not standard HTV. Only adhesive for applying foil or fabric to a garment! EasyWeed Adhesive can be peeled Hot and doesn't lift during weeding. It's also extremely durable wash after wash.
EasyWeed's pressure-sensitive carrier allows you to offer detailed designs on a variety of fabrics. For use with foils and adhering fabric. This product is just the hotmelt glue does not include vinyl.